I get questions like this sent to me all the time and often see similar posts on social media. I also see a whole bunch of responses on places like Facebook and often witness the ‘juicing police’ and their various different ‘rules’ about juicing…. Have you seen posts like this too? Let’s get one thing clear… ‘juicing’ DOES NOT mean you have to live on juice only and it is NOT about putting yourself on a restrictive diet. If you look in the mainstream media, they are often talking about juicing as the latest fad diet and use headlines like ‘Soap star drops 2 dress sizes in 4 weeks’. The focus here is on juice cleansing or juice fasting, where you live on juice only for a period of time. This is NOT the only way to get the benefit of juicing. Whilst I am a fan of short term juice cleansing (I cleanse for around 5-7 days every 3-4 months), I am less supportive of long term juice cleanses, such as those for 28 days, 60 days or longer. Don’t get me wrong. They can have a dramatic impact. But, the results are often unsustainable. Roughly 8 out of 10 people who go on a diet fail to keep the weight off for any extended period of time. When juicing is treated as a diet, the impact is similar. If instead you focus on ADDING freshly extracted juices to your lifestyle, perhaps having 2 glasses each day, then you can get the benefits of all the live nutrients in the juice in a way that is part of a sustainable lifestyle. Even during a juice cleanse, if you are truly hungry then eat something (an avocado is great option). Remember, you and you alone live in your body and hence you are the best person to continuously monitor what is right for YOU. I’ve seen many posts on social media telling people they are ‘doing it wrong’ when blending on a juice cleanse. 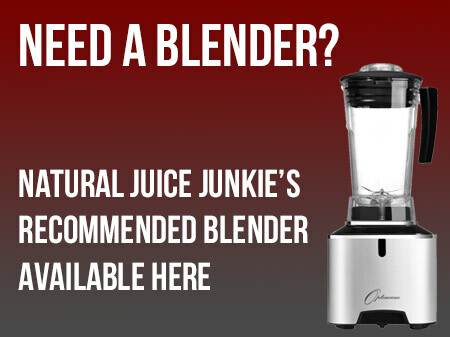 It is true that juicing and blending are NOT the same (click here to read what everybody ought to know about juicing vs blending) but that doesn’t mean you should ditch your blender completely. The reality is that some ingredients simply don’t juice and others give you much more ‘bang for your buck’ when you blend them. I am talking about things like avocado, banana and berries. For these ingredients it is often better to blend them into a juice. I’ve had messages sent to me saying my juice cleanse programmes are not really juice programmes “because you are blending too”, but given most juicers get nothing out of an avocado surely it is better to blend it into the juice of the other ingredients! I ALWAYS include avocado on my juice programmes as avocados are an excellent source of Essential Fatty Acids (EFAs) and these fats also help us to absorb and use the fat soluble nutrients such as carotenes. Your body needs these fats and long-term juice cleansing (15 days or longer) without a well balanced nutritional profile can sometimes result in side-effects such as hair loss. Leaving your juicer dirty is seem as cardinal sin by some in the juicing community, with some even saying you must clean your juicer before you drink your juice. 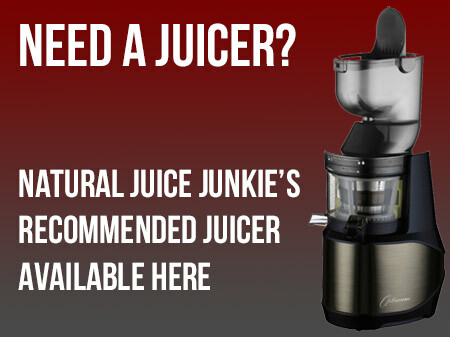 Are juicers difficult or time consuming to clean? It varies from model to model, but I find I can complete the clean up in a few minutes. Sure, if you have time then it is probably a good idea to clean your juicer straight after you make your juice, but if you are running late for work and don’t have time to make your juices and clean the juicer, make the juice and do the clean up when you get home! It is better to have the juice and a slightly more challenging cleaning job than to skip your juice instead! 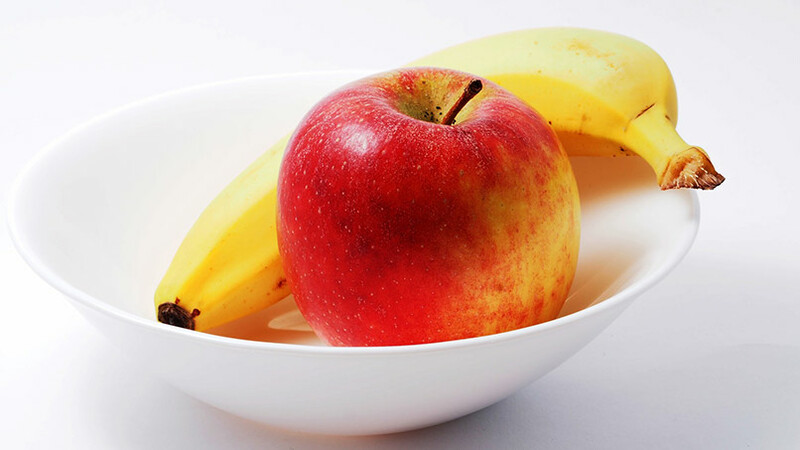 The average apple weighs between 70 and 100 grams. Based on this a typical apple has between 1.75 and 2.5 teaspoons of sugar NOT 4 teaspoons. It also important to note that juicing typically extracts approx 70%-80% of the nutrients, which includes the sugar. Hence the sugar in the juice of 1 apple may be as low as 1.2 teaspoons! Is it a good idea to have mainly vegetables in a juice? The short answer is yes. The longer answer is that it depends if you will drink the juice without any fruit. If you need to addition of fruit to make the juice palatable for you then add the fruit. 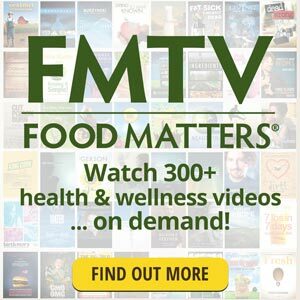 My belief is that there is a BIG difference between natural sugars in foods and highly processed pharmaceutical sugars, such as table sugar and high fructose corn syrup (normally labelled as glucose-fructose syrup in the UK). It is like comparing coca leaf tea (a natural, healthy food consumed in the Andes mountains) with the processed version of the coca leaf… COCAINE! Sometimes adding a little extra fruit is the difference between disgusting and delicious! I’ve also noticed that the more you experienced you are with drinking vegetable juices, the less fruit you are likely to want to add. 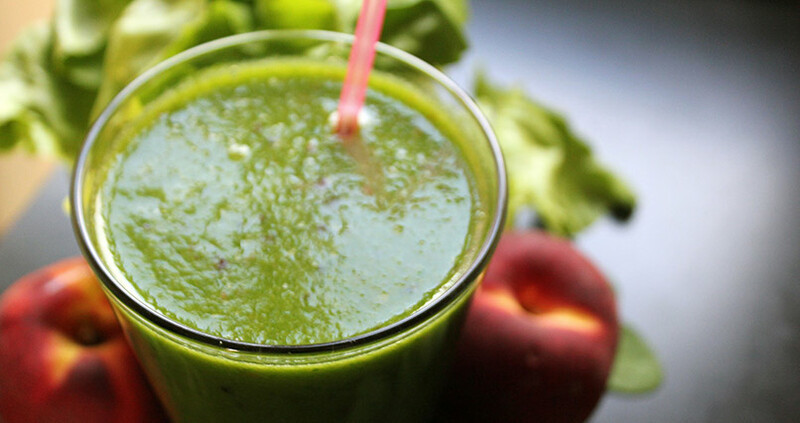 Juicing: Are You Detoxing or Dieting? How Content Are You With Your Life?